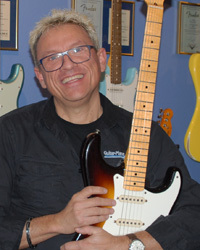 Harald Ott founded Guitar Place in1987 at the age of 24. After working as a draftsman and playing in various bands since he was 15 years old, he fulfilled his dream of an own music shop. To start his business he lend the capital from his partens and opened Guitar Place in december of 1987. The first shop soon was too small and so he moved to a bigger location. Here he had the needed place for presentation of instruments, storing and workshop. The past 30 years Guitar Place moved through different concepts and stands today for high quality guitars of famous brands. His qualified team and first class workshop with his son as a luthier is a big goal for the success of Guitar Place! As founder and owner of Guitar Place, Harald is responsible for high end electric guitar like Gibson, Fender, Paul Reed Smith, Duesenberg and many more! 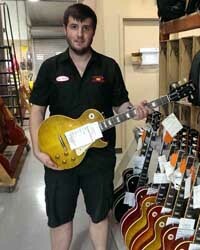 Daniel works at Guitar Place since September of 2012. Before he made an apprenticeship at Hanika Classic Guitars and started working as a luthier. After 4 years working at Hanika he started working at his fathers music shop. With his competence as a luthier Daniel is responsible for different departments in the store. He leads the workshop and repears and builds new guitars. Also he is responsible for our acoustic guitars. Here he can bring his knowledge as a luthier to the customer. Michael started his 3-year apprenticeship as businessman in november 2010. Before he visited the privat school of economy Krauß in Aschaffenburg, Germany. Michael is our expert for online distribution and shipping. Also he is responsible for online customer service. 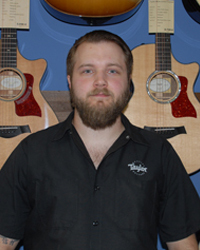 Because of his economic thinking and engagement, Michael is brought Guitar Place to the next level as a well known international dealer with customers all over the world. Horst works at Guitar Place since 2008. His interest in music and technik started early. As a passionate guitarist, he played with several bands all over Germany. Because he still was highly interested in technik he studied at the SAE institue in Frankfurt. After he finished his studies he started to work as audio engineer at Bayern 3 oldie tour and worked with several artists and bands. Today he still works as audio engineer at the Clingenburg Festspiele. 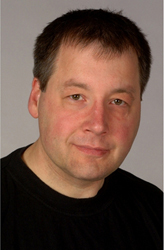 Horst is our specialist for Fender products and is responsible for buy-in and trading. The concentration is on the Fender Custom Shop. He takes care of a good selection of one of a kind guitars. 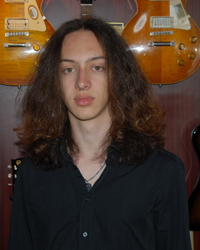 As youngest member of the Guitar Place team, Nicolas works here since december 2016. He plays the guitar since he was 10 and later was teaching guitar at "Blue Note Music". From a hobby to his passion - at this time he finishes his exams for "diploma tone-master" at "Pop Academy" in Franfurt. Nicolas is our all around talent. So he takes care of customer service, creating products in the system, fotograph new instruments and selling electric guitars.